NEW PRODUCT – LulzBot TAZ 4 – Open source 3D Printer « Adafruit Industries – Makers, hackers, artists, designers and engineers! As of May 12th, 2014 we are shipping the LulzBot Taz 4! The evolution of desktop 3D printing continues with TAZ 4, LulzBot’s top-of-the-line, highest quality printer to date. Merging technical expertise with design sensibilities, TAZ is for inventors, entrepreneurs, design engineers and prototypers — bring your ideas to life with TAZ . New features include a re-engineered drive rod system for better print quality and re-designed Y-axis mounts so setting up your printer will be easier than ever. The Taz 4 has also upgraded to a 400 watt power adapter and an assembled and enclosed electronics case. Finally, the extruder fan now comes standard with every Taz 4. All of these features add more versatility and quality to the Taz 4 and more about their function can be found in the product video below. 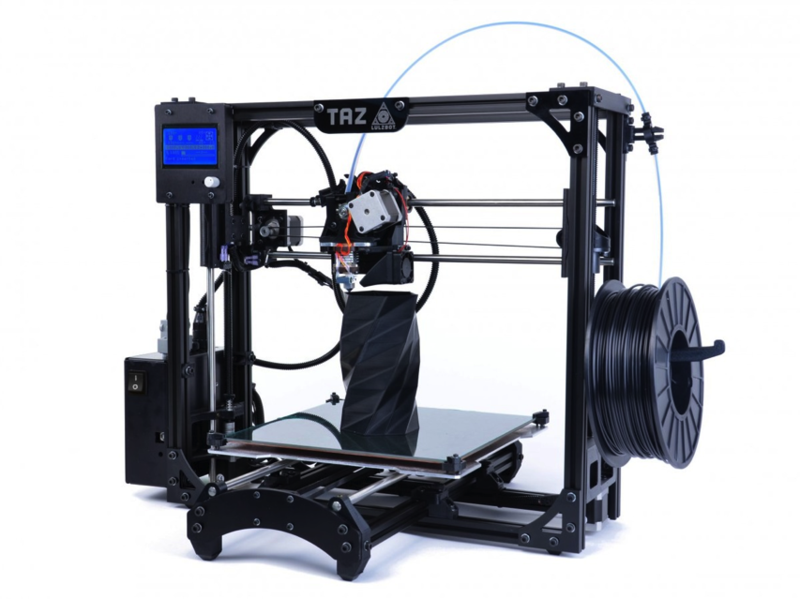 The TAZ 4 now comes with a graphic LCD controller for printing directly from an SD card! You can now print without a connected computer. The graphic LCD controller has the ability to perform print start up, print selection, and configuration changes.